To maximize storage and ensure that traffic can move efficiently through your facility requires careful planning. REB maintains an extensive engineering department across the US. This department delivers over 500 years of combined experience in the material handling industry to every project. No matter what the needs of your space, we can create the professionally engineered solution that will help you manage your inventory. 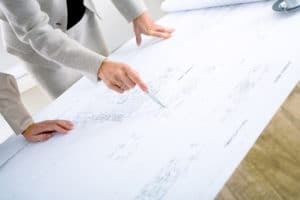 REB engineers take into account the layout of your space, the characteristics of your inventory, and the material handling equipment that your team uses. Clearly defining these requirements allows REB to develop the ideal solution as well as provide alternative solutions based on your budget and time frame. Each design meets both local and federal building codes. 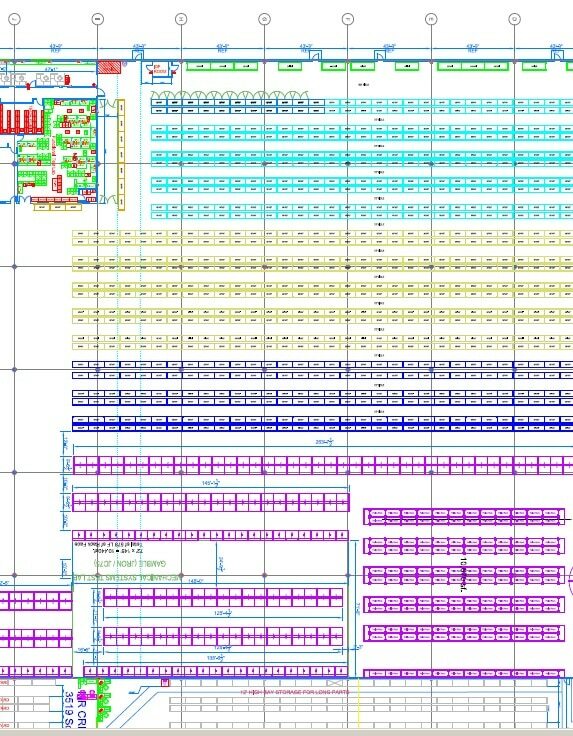 Project engineers then utilize Computer Aided Design (CAD) to produce detailed drawings that enable us to review various designs to ultimately create the plans for your storage system that will facilitate the success of your project and your operations. REB designs integrate storage and material handling equipment in the best possible locations within your system to optimize your storage and retrieval process. REB engineers work with sprinkler and electrical contractors to include necessary information on rack drawings as required by local and federal regulations specific to your storage system size and layout. Also, we look at each project as unique. While many have similarities for which we are able to leverage our experience and knowledge, each client has unique needs that must be met. DO YOU NEED RACK SYSTEM DESIGN & ENGINEERING? If you need a complete rack system engineering and design, we can help. We've been designing and engineering rack systems for more than 50 years.